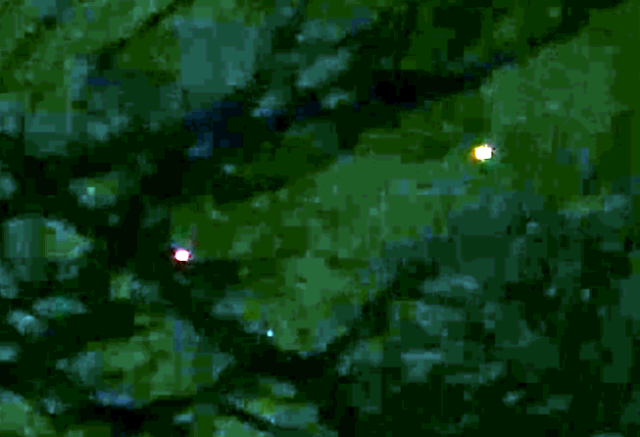 UFO SIGHTINGS DAILY: UFOs Over Saint Paul, Minnesota On Dec 20, 2015, Video, UFO Sighting News. 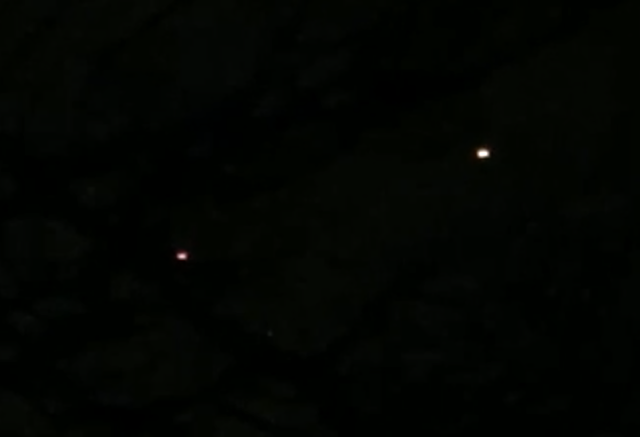 UFOs Over Saint Paul, Minnesota On Dec 20, 2015, Video, UFO Sighting News. Photo above and below are the same. Just below I added light. At first I was worried these were antenna lights on a hill so I added light to it to see the mountain, but found there was none. The lights were in the sky and seen through tree branches. This tells me it is a real sighting and the UFOs are flying together as if watching out for their wingman. I was walking my dog along the railroad track, two blocks east of where the tracks go over Como ave.. I was points of light in the sky in the North moving N to S in a line. None of the lights were were in a perfect line but formed a rough line. All moved uniformly and in sync WRT velocity. My suspicions were raised when I realized no sound was being emoitted, contrary to my initial belief that they were military helicopters in formation. As the four of them passed overhead, the second to the vanguard diminished in brightness and in doing so began emitting a redder light until finally it disappeared. I then noticed more movement to the North and observed a fifth apparently catching up because of it's slightly higher rate of speed. At this point there were only four and all continued in the same vector at the same speed. After a short time, as with the first one, all began to disappear in the same as the first. Detailed description of lights: each light had a bright center enveloped on a fuzz glow. I felt elated and surprised.